The Miami Dolphins promote responsible drinking and positive fan behavior at Hard Rock Stadium. The Dolphins alcohol management plan ensures that fans have a safe and fun experience. Those in violation of this code of conduct will be subject to ejection, revocation of season tickets and possible arrest. Fans are encouraged to alert stadium management of Code of Conduct violations by sending an anonymous text or calling the Gameday Hotline. Texting and phone hotline instructions are available in-stadium. The Miami Dolphins and Hard Rock Stadium encourage the use of the Bud Light “Good Sport” Designated-Driver Program. From gate opening until the beginning of the second quarter, guests who are able to produce a valid drivers license, and are 21 years of age, are eligible to become “Designated Drivers” for the evening. In return for signing a pledge not to drink alcoholic beverages during the game, and for accepting responsibility for driving other members of the group home, Designated Drivers will receive a coupon redeemable for a free fountain soft drink during the game. Sign up for the Designated Driver Program at Guest Relations, located at Sections 156, 215, 242, 315, 342, 456. 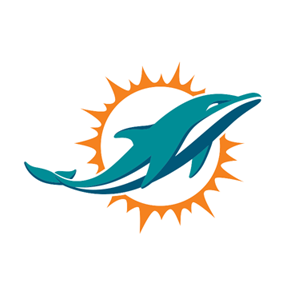 Continuing for the 2016 NFL season, the Miami Dolphins are facing the New York Jets and the Buffalo Bills in the Bud Light Good Sport Designated Driver Challenge. Dolphins fans who pledge to be designated drivers at Hard Rock Stadium earn the Dolphins a touchdown (6 points) in the Challenge. Dolphins fans who “Like” the Dolphins Designated Driver Challenge Facebook page earn the Dolphins an extra point in the Challenge. Please make the pledge to be a responsible Dolphins fan and help the Dolphins win the Challenge!